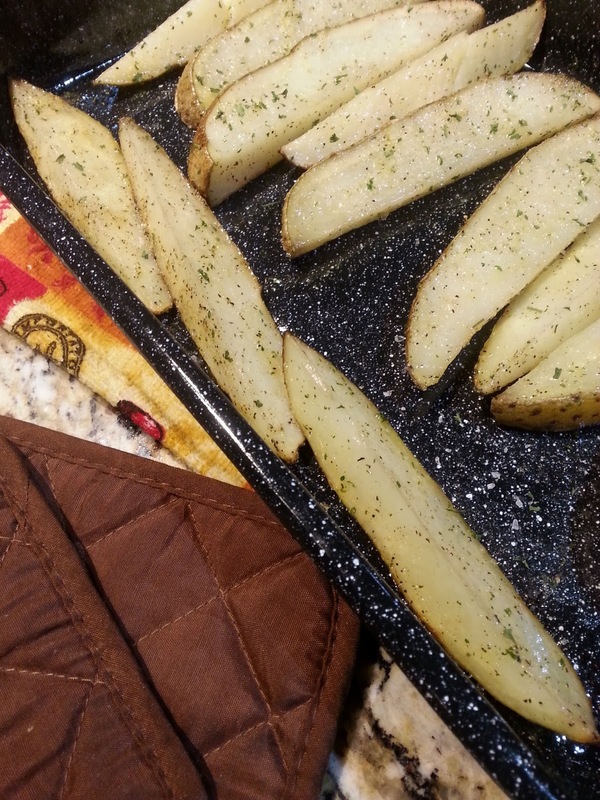 This side dish recipe for Baked Potato Wedges with Garlic Butter hits the spot. Perfect side dish goes with any main dish. Wash potatoes, cut potatoes in half lengthwise, than cut each half in thirds lengthwise. 6 wedges from each potato. Add potatoes to a large bowl, drizzle olive oil, sea salt and black pepper. Place potatoes on a lightly greased baking dish. Bake 40 to 45 minutes, until fork tender, turning once. In a small saucepan over low heat, melt butter, once the butter melted, stir in garlic powder, onion powder and dried parsley flakes. Brush butter mixture on cooked potato wedges.